For a meatless meal this soup is pretty incredible. It had such amazing flavors. Don't be scared of roasting the poblanos it is as simple as putting them on a pan under your broiler and turning them, so easy. 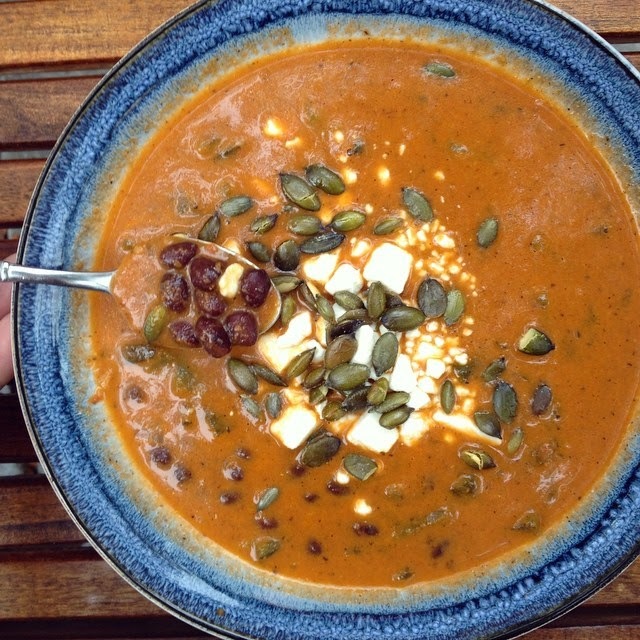 The creaminess of the feta and the crispy saltiness of the pumpkin seeds are the perfect addition to the soup! 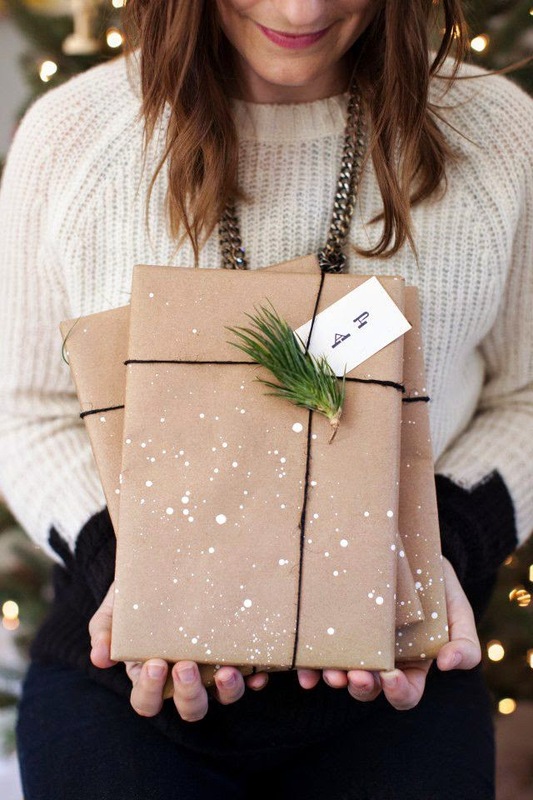 One of my readers asked for some gift wrapping ideas so I rounded up a few! 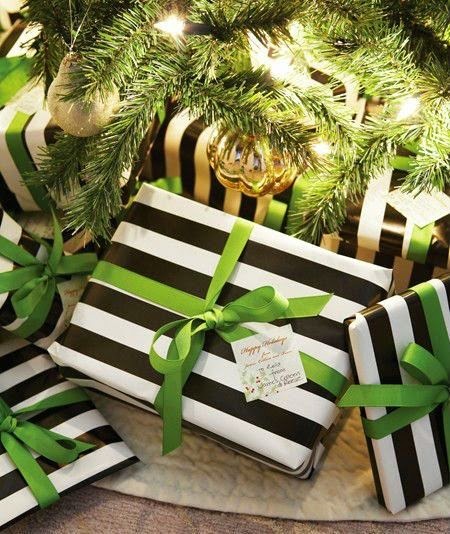 I love this classic black/white/green combo. Splatter paint kraft paper. You could use any paint color but I like the gold. I buy kraft paper at our Dollar Store all the time so check there for rolls. 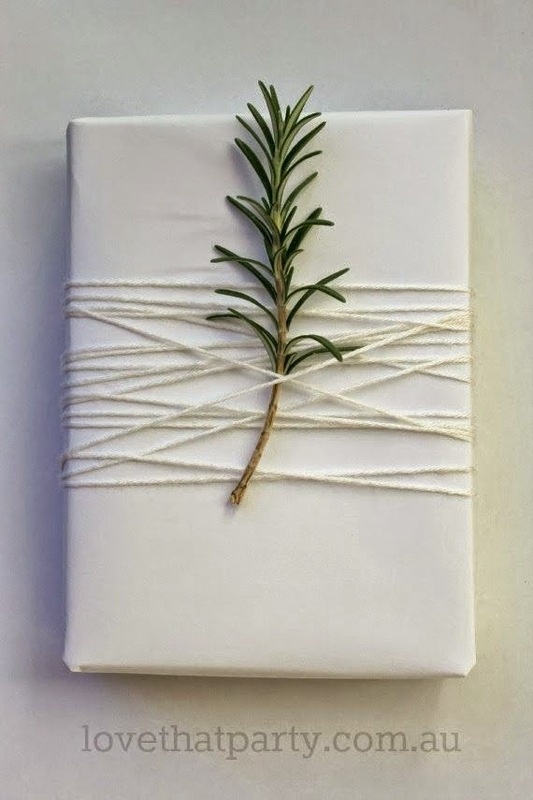 Love the idea of a sprig of Rosemary tucked in. For the kids. How awesome is this crayon/toy idea?? The names stamped on the paper is so cute. 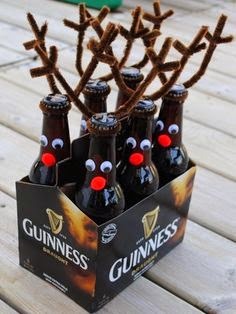 and for the guys- this reindeer beer is pretty cute. I'm on a soup kick and this one looks like something the hubs would like too! Have a great weekend! Thanks so much for the gift wrapping ideas! I love all of them. 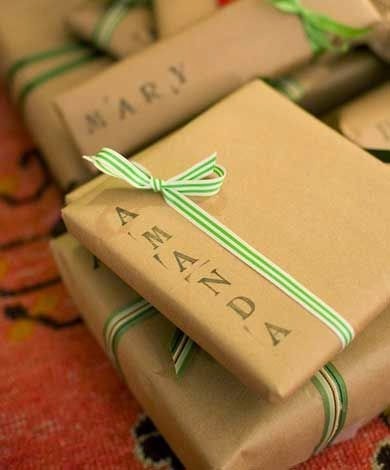 It's fun to mix things up from the traditional Christmas wrapping paper! 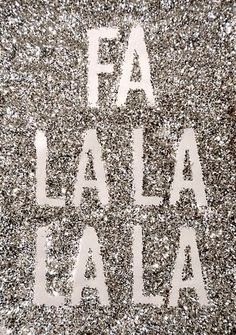 Have a great Friday!! I made a poblano soup recipe last week too! And now I do believe that is the end of the garden for us. That mini freeze last night did us in I think! That soup looks so so good!! And hearty--which I love being that it is meatless. 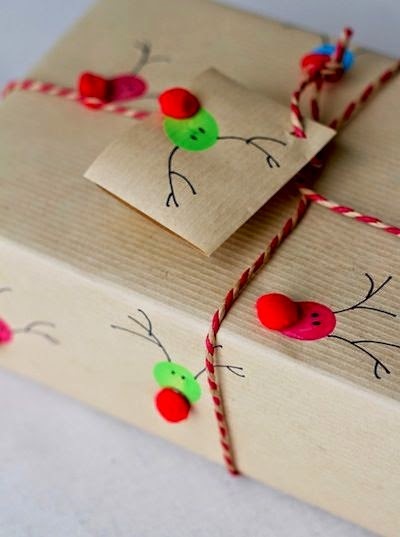 Great, fun and unique round up on wrapping ideas. The 6-pack is so cute! !